Baby Photos! | Separated by a common language. SHE WAS SO WITTLE (which, FYI, is smaller than little in my books)!!! 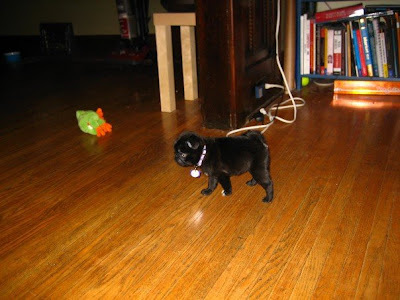 Oh my gosh, she was only 2.5 pounds when we got her and I remember her tummy being so puffy! She fit in the palm of your hand! I could die of cute overload at how little and adorable she was (and is, of course). Again, excuse me while I die of cuteness! Oh man. 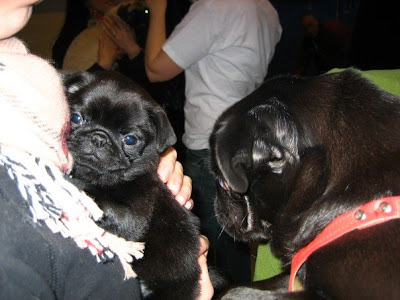 And here’s a photo from her first pug meetup. 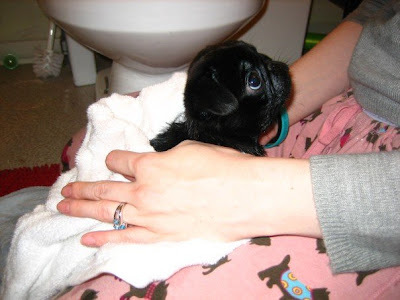 She was WAAAAY smaller than any of the other pugs, so we had to keep picking her up! He was also ridiculously small! Five pounds of awesome dog! I wish he could just fly me to work. That would truly be the best way to travel. Oh my babies, I love them so much. I can’t even believe I wasn’t into dogs before these guys. What was I thinking?! Oh my dOG they were/are cute. That picture of Zelda after her bath…I’m still drooling. Oh and the Winston ‘I caught you’ shot…who could be mad at that face…ever!!! 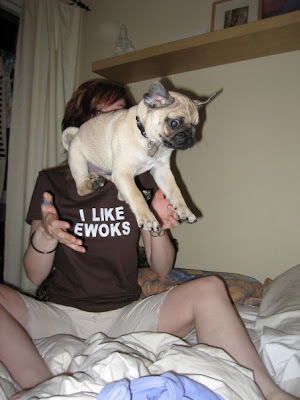 I just want a little pug now!!! ZOMG! Wittle indeed! Those are the cutest pugs ever. 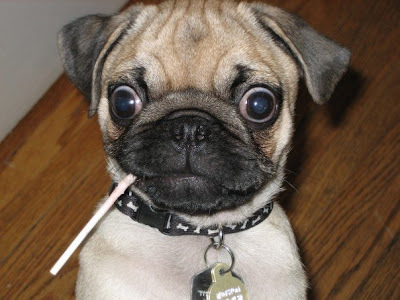 Don’t tell other pugs I said that or they will get jealous. 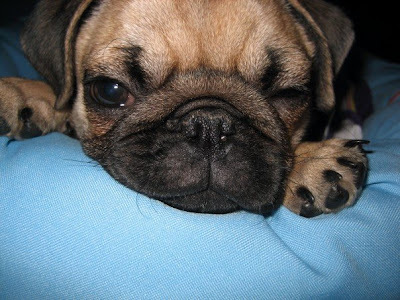 I want a little Zelda fluffy pocket pug…she is ridiculously cute. That expression on Winston’s face is very “Michael J. Fox”-ish, too!